Unfortunately the Syrian refugee crisis does not look like it will be improving anytime soon. It has reached a sad and desperate point where some migrants have gone so far as to set themselves on fire in order to try and cross the border. Earlier this week in the Greek camp Idomeni which is next to the Macedonian border, a man was seen running with his jeans and sweatshirt on fire. His fellow refugees though quickly covered him to put out the blaze. He was quickly taken to a hospital and the Greek police said his injuries were not life threatening. There were other refugees who followed his actions and set themselves ablaze as well. 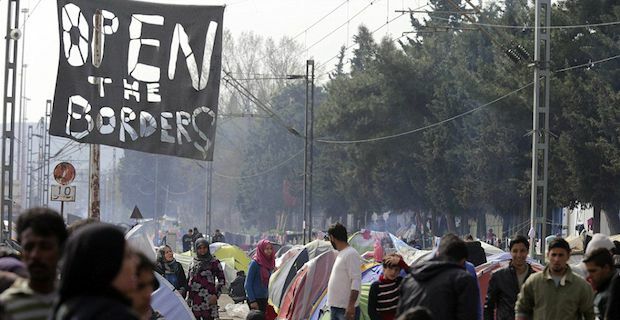 These actions were in protest to the Turkey and the European agreement they made on Sunday that would limit the numbers of refugees and migrants into Europe. Those that had viable asylum claims would be fast tracked through and those who did not would be sent back to Turkey. There is room for appealing within this deal. While the sea crossing from Turkey and Greece was to be cut off, smugglers are travelling at night and finding more dangerous routes to bring people to the border. Currently there are around 12,000 asylum seekers and refugees camping near the border, hoping it will open. Last year over 850,000 people followed this route.